Student auto loans can be a great tool for those that are in school and need some transportation. 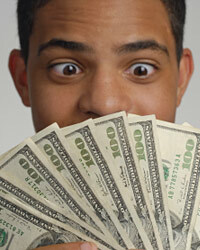 Many lenders offer programs designed to help students. Here are a few things to consider about how student auto loans work and what to expect from them. One of the biggest advantages to student auto loans is that they have an easier credit approval process for students. Lenders realize that many students are so young that they have no credit history to speak of. Lenders tend to give students the benefit of the doubt, thinking that those in school are on the right track with their lives more often than not. Another advantage to getting a student auto loan is that the interest rates are going to be reasonable. As a student, if you try to get approved through a regular loan program, you may find that the interest rates you are quoted are a little high. This is because you are just applying on your own merit instead of with the understanding that you are a student. With a student loan, they are willing to give you a lower interest rate than you otherwise would be unable to get. This gives you the ability to get a lower monthly payment to work with. It will provide you with a level of flexibility that you cannot get from anywhere else. With a student auto loan program, you should also be able to get a low down payment to work with. With the costs of housing, tuition, books and food, most students do not have a lot of extra money lying around. Needing only a low down payment can save them a lot of trouble and make the loan possible for them. Some student auto loan programs will even allow you to forgo a down payment all together. This will allow you to get the car that you want without the burden of coming up with any money. While there are many traditional lenders that may be willing to help you, there are also a fair share of online lenders that help students as well. Many of these lenders operate only online and have lower overhead than other lenders. This may enable them to pass on cheaper interest rates to you overall. Many online lenders provide approved applicants with a check to purchase a vehicle with. Then the loan starts from the moment you use it to purchase a vehicle. Student auto loan programs can be very beneficial. However, you should still shop around to see if you are getting the best rate. Just because a lender says they like to work with students does not mean that you could not get the deal cheaper somewhere else. Consider all available information when making a decision on your auto loan, and you will avoid many possible mistakes.